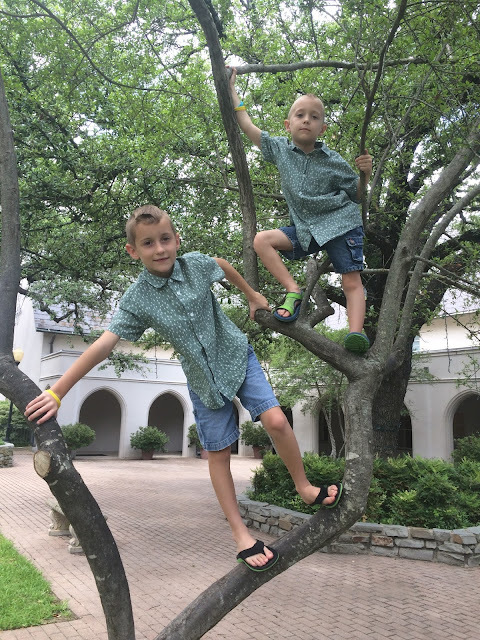 Thanks to JT and William Zuba for the matching tees. They look so cute, I'm sure this is just the first of many times that I'll put them in matching clothes. VERY cute. I can't believe how blond Jack is now!!! And Wes looks quite comfortable in his chubbiness. 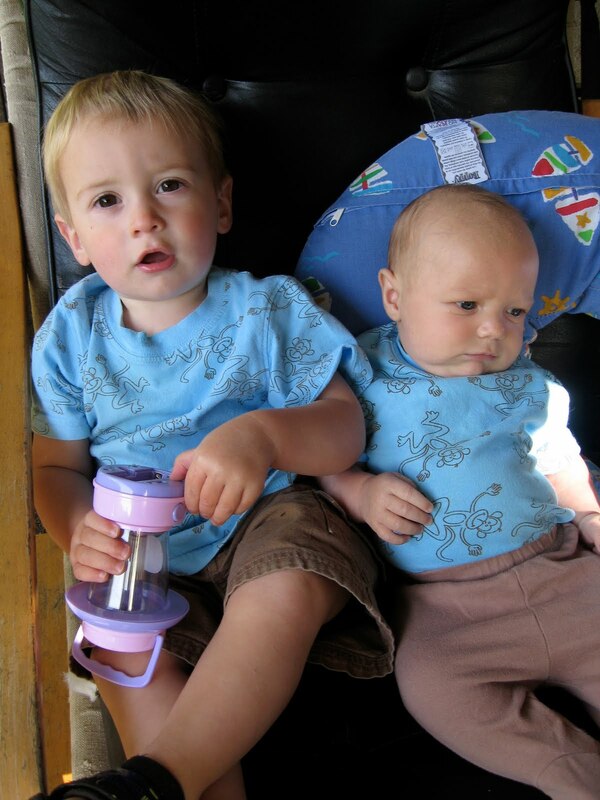 I think matching clothes on sweet little brothers is the best!